A comprehensive resource for analysts, journalists, investors and entrepreneurs. This database is designed to help you track and analyze the blockchain token sale and initial coin offering (ICO) movement as it grows and expands. 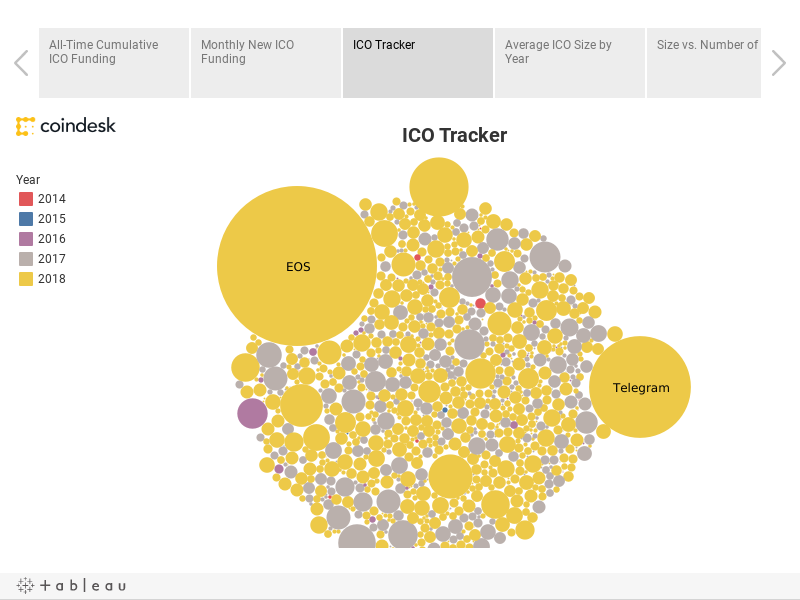 Toggle between the buttons above to reveal data on all-time cumulative ICO funding and monthly ICO funding, or search project to project with our interactive bubble visualization. Want more details? You can download our full database here, which includes data points such as the ICO’s name, close date, and funds raised. We would welcome any feedback on our data at research@coindesk.com.